A place where students from all corners of the globe explore how to work with their minds in order to realize the liberating wisdom of the Buddha. Drawing from authentic Buddhist traditions, we offer educational resources, interactive forums, and a vibrant global community to support your practice. Enroll in one of our short-term or long-term study programs and receive guidance from Tibetan & Western instructors on a range of subjects. Samye is more than just online Dharma teachings, we also have a global network of local groups & Dharma centers. Find out more about our community activities & groups. Samye Institute presents on-line and live teachings, instruction, and events derived from authentic Buddhist wisdom traditions. On this on-line platform, individuals seeking answers as to how to live a meaningful life can explore how to work with their minds. 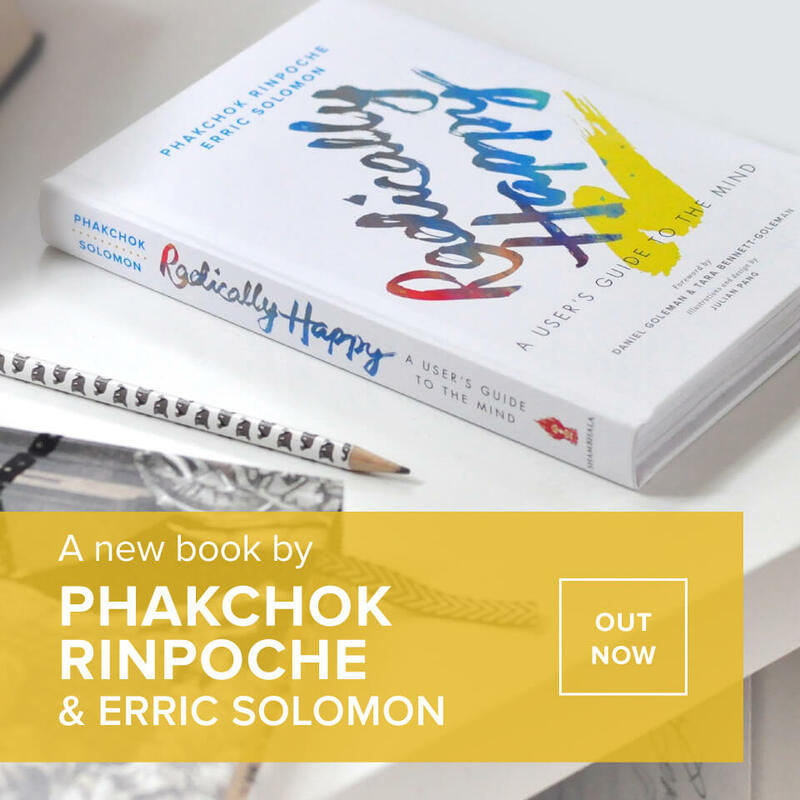 Additionally, Buddhist practitioners, both newer and long-term students, will find resources here to support their study, reflection, and meditation. Here you may find teachings on working with the emotions and the mind, introduction to meditation, training in compassion, Mahāmudrā meditation, and special practices unique to our tradition. Our aspiration is to offer tools and training to enable practitioners of all levels to practice authentically and confidently. Phakchok Rinpoche sends out short inspiring teachings to all students via email on every Guru Rinpoche day. Rinpoche often uses these teachings to answer frequently asked questions. Also, he suggests topics that remind us to bring our minds home in the midst of our busy lives. “Sons, daughters, relatives, parents, wives, friends— all are illusory and pointless; they will always be reborn in different ways. So, too, gold and silver are like flashes of lightning. None show any essence. To reach the state of awakening, venerate the guide of humankind."